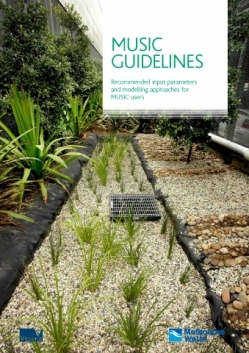 Melbourne Water is in the process of updating their MUSIC Guidelines and is seeking industry feedback on the draft guidelines and the associated 10 year rainfall templates (ZIP file - downloads automatically). The guidelines contain the recommended input parameters and modelling approaches for MUSIC users. Melbourne Water realises that some of the parameter changes will have a significant effect on the modelled results, and further changes may be made based on your response before finalisation of the guidelines. Effort has been made is ensuring the guidelines are easier to understand, so feedback from this perspective is encouraged. Please provide your feedback by email before 6pm February 25, 2016, or contact Micah Pendergast ASAP if you need more time. Comments will be addressed before finalising the new guidelines and rainfall templates. Details on when the new guidelines will supersede the current guidelines will be provided by Melbourne Water’s Development Services team.